Nearly into October so time to start moving north, before the weather turns dire. We are off again, then, not before visiting the Sunday market in Lourmarin, which was memorable for its expensive items, and being devoid of tat. 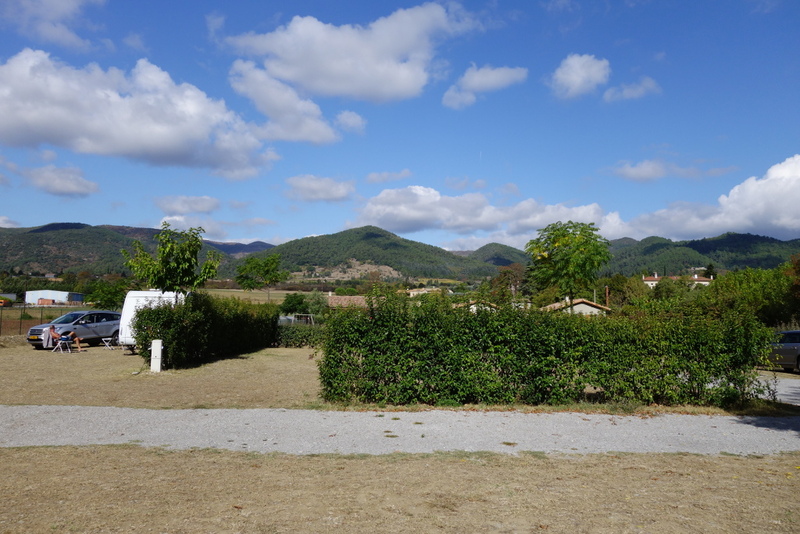 We were aiming for Camping l’Albanou, with its bar, pool, food and all mod cons, but managed to turn into the campsite next door, which has no bar, or anything really. Nice place, nevertheless, so we stayed. We need to find something interesting to do tomorrow. This entry was posted in France - Autumn 2017 on September 25, 2017 by Kenny Mitchell.